MBA vs. Compensated Community! | The Solar Nerd. A few years back I was thinking about going back to college to get an MBA. I was 38 at the time, and many folks go back to school to earn an MBA at that age. Back in the 1990’s I really enjoyed college. It was challenging, busy, and mentally stimulating. I wrote a ton of papers, twisted balloons on the side and partied with my friends, good times! I was also single with minimal financial obligations. As an adult with a family I have different priorities now, so I started to think about different options; earn an MBA, expand Balloon Distractions or what else? The goal was to increase my income, and have a better life all around. In November of 2014 I joined Life Leadership to pay off my debt and build an asset that would kick off some residual income. To my surprise it actually worked. My debt is 100K lighter, and my income from LIFE is paying down the remainder of my mortgage. My goal is to own my home free and clear before my 43rd birthday! This got the gears in my brain turning, what if you compare earning an MBA to building a Compensated Community within Life Leadership? How do they really stack up? Both require 2-3 years, both can be done on the side while you work full-time, and both activities will increase your income. For this comparison I’ll use the Life Leadership model for the Compensated Community option, otherwise known here as “CC”. You can build a CC with countless direct sales companies, from Mary Kay to Herbalife to Nikken, but my personal experience has been with Life Leadership. #1. COSTS of earning your MBA vs. building your CC…..
Let’s assume here that you are looking at both options to increase your income. In the very least you are going to spend at least $35,000 to get your MBA, even with scholarships and grants. $82 per month IF you subscribe to Total Access. $90 per month IF you subscribe to the LIFE Marketing System. $$ for gas in your car. But here is the real kicker, if you start your CC with Life Leadership and hit the lowest level of compensation (consult the 2016 Income Disclosure Statement) your business income will exceed the monthly cost of your Total Access and Marketing System subscriptions, usually within the first 90 days in business. Working on your CC builds residual income, earning your MBA does NOT. If your CC is not profitable within the first 90 days you need to call your upline support team and change some things, either your approach, your activity level, your people skills, or all of the above. You might get your employer to pay for your MBA, but this is the only scenario in which the MBA is a cheaper option than building a CC. If you’re self-funding your MBA it will be far more expensive than building a modest CC. You also run the risk of incurring a large amount of student debt before you see any income at all from your MBA. There are zero guarantees that your pricey MBA will land you a job. I’ve had people apply for Balloon Distractions who have an MBA on their resume and they’ve been out of work for 12 months or longer. The MBA was not helping them find work, or they had such a large ego that they refused to take a more modest position. #2. What about the RISK of an MBA vs. a CC? Within Life Leadership there is a 30 day money back guarantee on anything and everything you purchase from the company. If you get started and change your mind, even 29 days later, you can send everything back for a full refund. Even if you spend 29 days listening and learning from the material! College tuition is different. You might get a 100% refund BEFORE classes start, but you are out of luck if you wait. According to this link you only get a 25% refund if you drop the class within 2 weeks, and ZERO refund if you drop the class after 17 calender days. There are people who join my CC community and never run with the opportunity. They spend the $145 to enroll in Life then they never make a phone call, never plug into our training systems, and we never see them again. Maybe these new members listen to the CDs, maybe they use the green box as a doorstop, its totally up to them and their desire to build a business. I have a young lady on my team who took this information and paid off 3 credit cards. She hasn’t really built a team yet, and her income from her business is small, but her debt is smaller, one positive step in the right direction. Who do YOU know who would like to pay off three credit cards? I’m willing to wager that the contact list in your smartphone is full of people who have debt. If you join LIFE you have a clear solution for them. The biggest risk is to start a LIFE business and do nothing with the opportunity. You might spend $145 bucks. The risk in spending $35,000 on your MBA is that no one wants to hire you, even with your advanced degree. #3. What about the upside of the MBA vs. the CC? 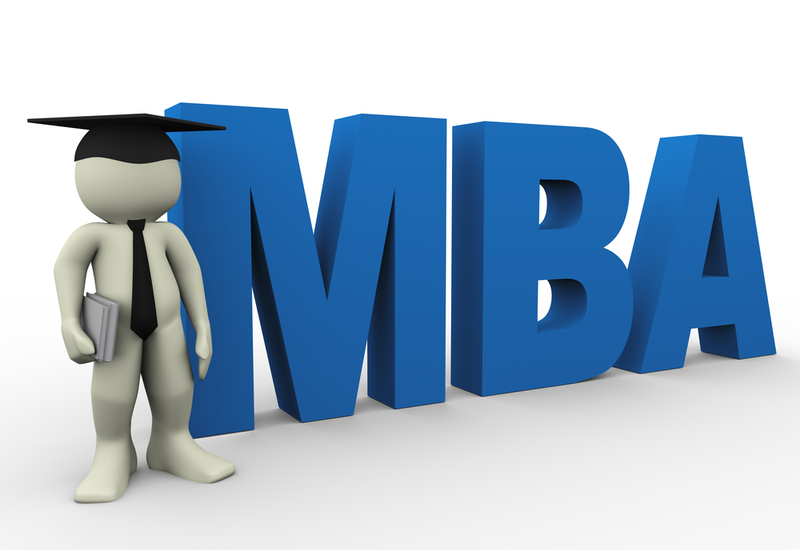 The upside of the MBA is the chance to rise to the very top of the corporate ladder. You might become the Director of your Division, the Chief Operations Officer (COO) or even the Chief Executive Officer (CEO). Woo-hoo! Private jets, homes across the world, you are going to be RICH… but you still have to work every week and you’re accountable to your board, your shareholders and even to your employees. Have you ever heard of a CEO being fired? We all have. Don’t get me wrong, you can become CEO of a successful company and stay in that position for decades, so the MBA route gives you an amazing return on your money invested, no doubt. But what about the upside income in building a massive CC? The people on this list own a BUSINESS ASSET, they are not working in a job. These folks have built huge compensated communities, and many of them have no formal college education. Some of these folks started out as blue collar workers! For every individual earning a million dollars per year in the CC space there are many more earning mid to low six-figure incomes. For everyone earning six figures in compensated communities there are even more households earning an extra $30,000 per year. In this case the MBA might edge out the CC in terms of income, but the person who builds a large CC has more time freedom. Also, the average Joe stands a better chance of earning a large income by building a CC vs. earning an MBA. If you get an MBA you can brag about it to all your friends. Everyone will admire you for your hard work and tenacity, congratulations! Your family will be proud of you, especially the folks stuck in jobs. The promotion you get at work from your MBA will result in higher income, which might improve your marriage, or it might not. When you build a compensated community within Life Leadership you will be exposed to success audios and books that will help you build a larger team, but the first focus is your individual personal development. You have to fix yourself, before you can help others. When I started my CC back in 2014 I was fighting with my wife, drinking daily and yelling at my kids. My people skills were pretty bad. Ask anyone who was around me just 2 years ago. I’m not proud of that, but it was what it was. I’ve gotten better, and most of the credit goes to the LIFE training. I listened to the Marriage Pack of CDs, went to monthly seminars, and became a hungry student again. I began to read positive books on success, motivation, leadership, people skills, parenting, business, wealth, even books on marriage and faith! My wife and I are getting along great, I made her breakfast this morning. We’ve joined a local church, and working together we’ve paid off over 100K in debt in less than 2 years. I’ve been sober since May of 2015. Not a Drop. My life is not perfect, but things are better now, for sure. I had to learn, I had to grow, and I began to mentor with one of the founders of Life Leadership. He in turn led me to specific books and additional learning. #5. So, who wins this contest? This is up to you and what you wish to accomplish. If you want a JOB the MBA wins hands down, but is you want FREEDOM and to be your own boss the CC option wins. If you just earned your MBA I wish you all the good fortune in the world, I hope you achieve tremendous success, not just financially but also in all your relationships! You invested time and money and hit your goal. Take the LIFE business for a 90 day test drive. The worst that can happen is that you’ll change your thinking about finances and pay off a chunk of your debt.